Forget about the Triple Crown of Recruiting that I wrote of recently as that has gone out the window with some sudden pivots made in Oregon football recruiting by Oregon Head Coach Mario Cristobal. These shifts are significant compared to the direction in recruiting his predecessor took, and it is a subject I dropped everything else I was going to write about in order to bring it to your attention immediately. This news, like everything in recruiting, came about within the last week or so. Things turn on a dime with football recruiting, thus we fans have to be as flexible as the coaches! Keeping up with it all is another matter…. The good people (Matt Prehm and Steve Summers) at 24/7 Duck Territory and Justin Hopkins at ScoopDuck.com share this old information with me, but for only ten bucks a month–you can get a ton more than the occasional article here at FishDuck.com and you would get it immediately. They are both superb, and I give the edge to Justin Hopkins for football, and to Matt Prehm in basketball recruiting, but both are highly recommended. Try their trial subscription and check them out during this vital recruiting time! Cristobal was in disbelief about next year’s available scholarships? We were informed that under Taggart–Oregon would sign as many as 30, or 31, or even as many as 32 players for the total in February of 2018. Yet now we have a truer picture of things as the emphasis on numbers as changed under Coach Mario Cristobal. Oregon has signed 15 in the early recruiting period, and has five more verbals that the Ducks feel good about. Thus from this number of 20 it appears that the Ducks will only sign six or seven more according to recent reports. Something I did not know until Duck Territory reported it–is that the Ducks will expect to have only eight seniors on scholarship this next fall. That means if Oregon wins 10 games in the 2018 season and has tons of momentum–they won’t have many scholarships to offer? What about balance among the recruiting classes? Now we always have attrition from transfers and injuries, but the Ducks need more than 12-13 openings in the 2019 signing! So Cristobal is looking at the big picture and planning out beyond the present, and that tells you something about both him and Taggart in terms of their emphasis and their needs for their own personal objectives. This also means that Oregon will not break the record of 29 total signed in 2007, this February. Oregon has had two de-commitments that appear to hurt this class, but the parting was actually mutual with a JC defensive lineman in Arizona, and a defensive end in Florida. In both these cases–red flags emerged when Cristobal did his own new vetting of the players who are committed to Oregon, and he found some items that he did not want to deal with going forward. This new emphasis is really a return to the standards that Chip Kelly started years ago and Taggart deviated from for who-knows-why? It makes you wonder about any that were signed last year as grade and character issues eventually bubble to the surface over a four or five year college playing career. Besides vetting … another new emphasis will be in the position breakdown; Oregon is seriously in on eight wide receivers who have four or five-stars, and Taggart was looking to take six or seven originally. Cristobal will take 3-4 instead according to ScoopDuck.com in order to have WRs balanced out over the years, and to allow other positions of need to be covered with this current recruiting class. A final difference I see in the emphasis between Taggart and Cristobal is acknowledgment that three-star players can grow into four-star performers for your squad, and sprinkling your team with a number of them can have an effect in three years as we’ve seen in the past at Oregon. 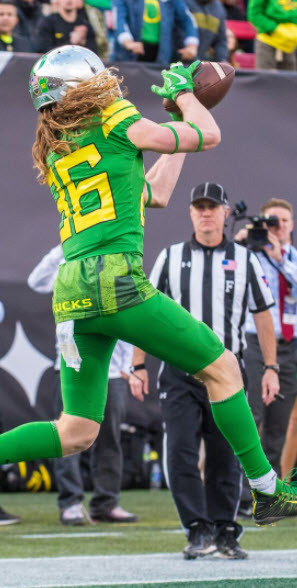 The All-American bowl participant as a long-snapper is an example; he signed early with Oregon under MC, but would not have received a scholarship under Taggart. Special teams did not perform well in the 2017 season, and this decision by WT to not give such an important specialist a scholly demonstrates his indifference to such an important area of the team. 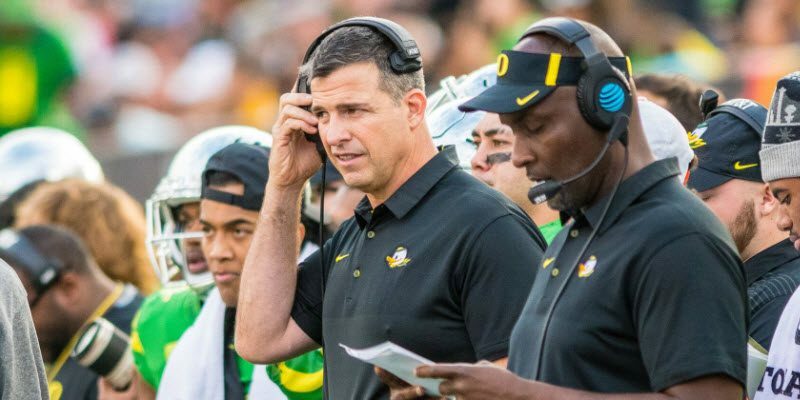 It is being worked on behind the scenes, but a new coach that Mario Cristobal is conferring with to join the Ducks is truly one of the best recruiters in the nation. 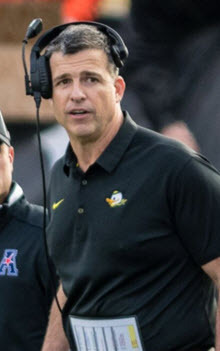 This coach was the primary reason for a blockbuster recruiting class for another Pac-12 team two years ago, and if he joins us–would be attracted to the Ducks from a Big-10 team where he currently coaches. Hence Cristobal is making recruiting a very high priority when choosing his remaining staff, and it bodes well for backing up his statement of “taking recruiting to another step up” in his introductory press conference I attended. There is another component to how Cristobal chooses his targets in recruiting, but I will be saving that for an upcoming article by writer Justin Samples, who will go into it more deeply. Suffice it to say–Cristobal goes beyond the “stars” and looks for talent that might be undersized or raw at the moment. Those are the kind of players that, when they become juniors–made up the bulk of teams that took the Ducks to the ‘Natty twice in the last seven years. Hence Oregon will not break the average star per player average of 3.57 in this year achieved under Chip Kelly. FishDuck says: Oregon WILL BREAK one Recruiting Record! Another 3-star like Troy Dye would certainly be welcome. According to Rivals.com (the ratings I use for long-term consistency) Oregon has signed seven players who are currently four or five-stars and have two more within the five verbal commitments due to sign in February for a total of nine of these coveted players. Remember that my criteria is eight of them is a great recruiting year as these players are the core of what you build around. The record is 12 signed in 2007 under Mike Bellotti, and I believe Mario Cristobal will sign four more among the six or seven remaining scholarships for the 2018 Letter-of-Intent day this February. Thus I am predicting a new major record for recruiting under the new coach, and this should not be dismissed easily. Over two-thirds of the coaching staff remained at Oregon, and in order for that to happen? 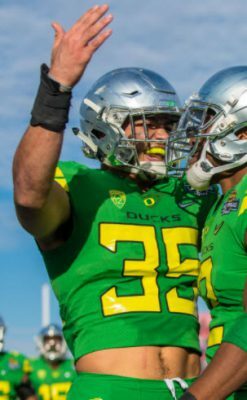 Cristobal had to re-sell them on Oregon after the bad taste of Willie Taggart lingered. This shows me that not only can Coach Cristobal recruit young men, but he can relate, recruit, and sell adults on his vision and what can be achieved with our beloved Ducks. The other sites report this important Oregon football recruiting news, but I like to pull it together and look for new patterns and ponder the possibilities. While others are lamenting the weakness of the Pac-12 in this bowl season, I and (I’m sure) Coach Cristobal are looking at the opportunity to build Oregon into a conference power. Considering the new “recruiting reset” under Coach Mario Cristobal–this can happen!